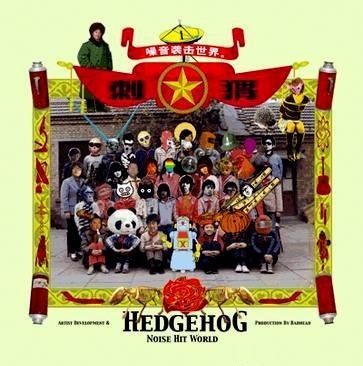 Hedgehog’s debut album “Noise Hit World” was released in 2007. Primitive hard-driving rock & roll is mixed with synthesizers to create a fresh and original sound. Sweet female and male vocal harmonies complement this mixture of sound perfectly. If you ever went to school in China you could recognize that the album artwork is a replica of a Chinese primary school diploma with Modern Sky’s staff as the pupils and the boss of Modern Sky is like as the teacher.Featured "Toy&61Festival" "Noise Hit World" "Our Last Word" and "love tosh"